Here’s two pics from my action-packed Saturday (9/22/2017) night as described in my previous post. 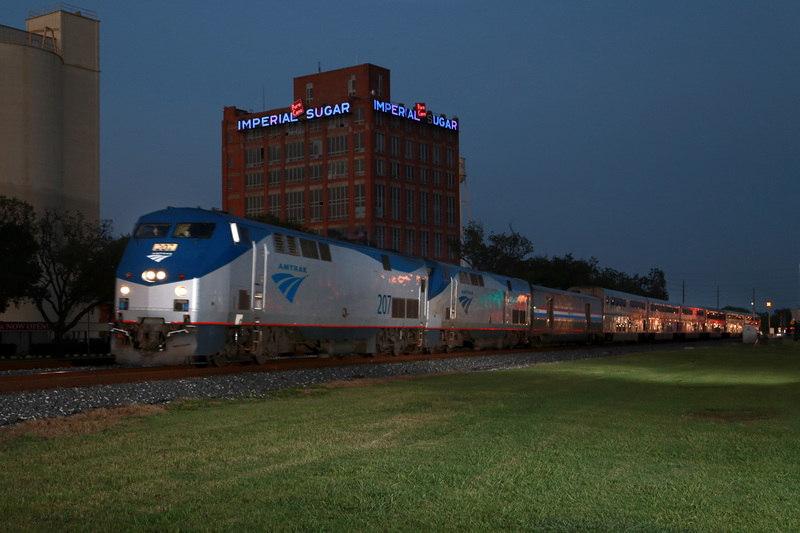 First is Amtrak #1 passing the former Imperial Sugar mill in Sugar Land, Texas just after 7:30 PM. Imperial ceased operations here some 10+ years back. Most of the old mill complex has been demolished, but the current plan is to save the iconic “Char House” and re-develop it with retail and loft apartments. 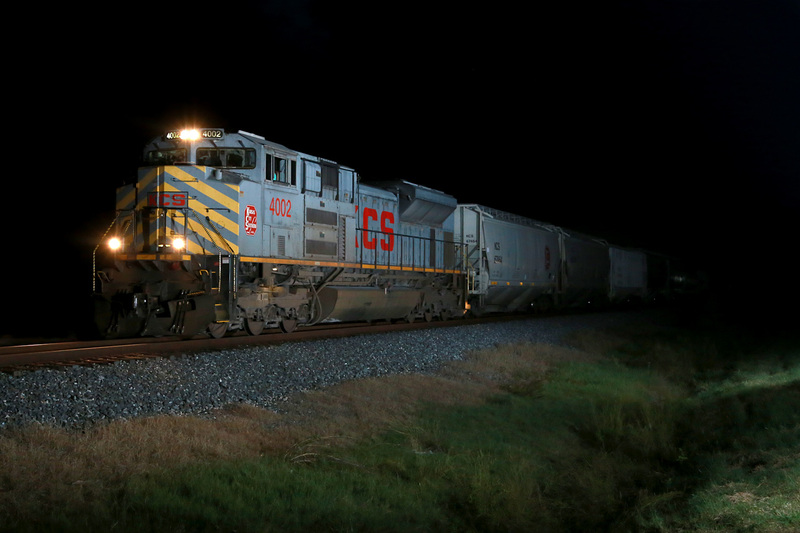 KCS grain train GKCQRS is back on the move at Missouri City, TX after a 90+ minute delay while the wayward auto was removed from the ROW at Sugar Land, TX. There’s only a handful of SD70ACe’s remaining in the as-delivered grey paint scheme so catching them leading is a treat. Have not received updated emails in a long time , am i still on your mailing list?